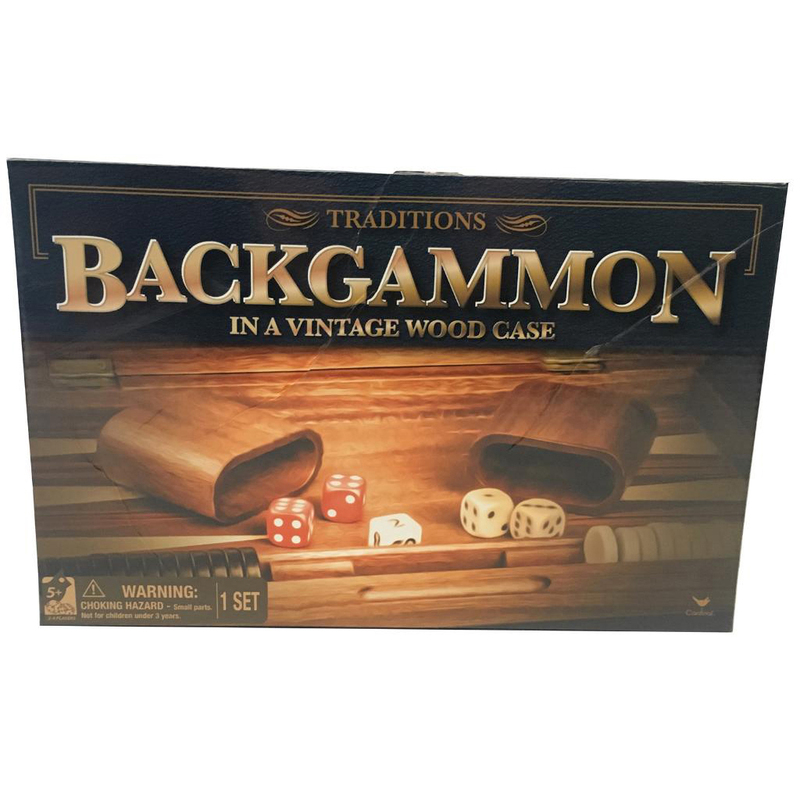 Unfold the sturdy wood case to reveal the classic game of Backgammon. 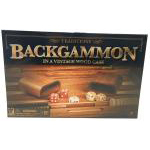 A game of judgment and strategy, Backgammon is simple to learn and challenging to play. Roll the dice in the dice cups and move your markers around the board. Be the first to remove all of your markers from the board to win the game. Easy-to-follow instructions will have you playing quickly. The vintage wood case folds for easy storage or fun on the go! Classic favorite comes in a sturdy carrying case. A fun family game for 2 players. Challenging enough for adults, but a great way to teach strategy to kids. Wood board folds for easy storage and on the go fun.